We have seen quite a few different geeky watches here at Geeky Gadgets, the latest one was designed by Josh Chadwick and it won the Cadence Design Philadelphia contest. The Digital Analog Timepiece is a blend of digital and analog, the watch face features a modern digital display, but the time is shown in an analog format. 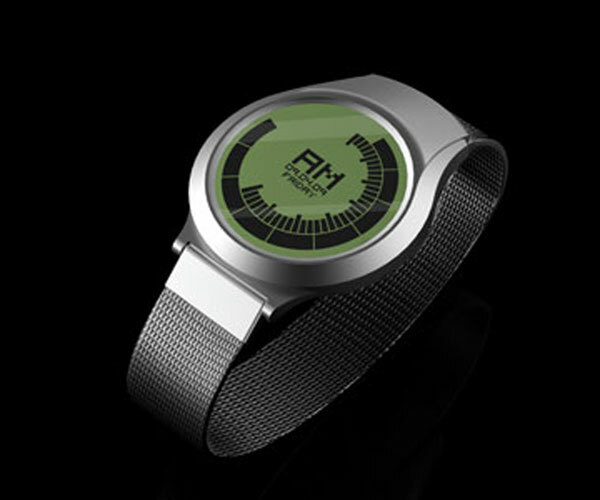 As well as showing the time the Digital Analog Timepiece also displays the date, and the day of the week. I really like the design on this one, very simple yet stylish. The Digital Analog Timepiece By Josh Chadwick will be available shortly for $119 from Cadence.